Welcome to the 1st Annual TripCon! Join fellow suppliers, affiliates and TripShock team members for a one day educational event on December 6th, 2018 in Destin, FL. TripCon aims to provide a better understanding of what is going on behind the scenes at TripShock, and where the industry is headed as a whole. If you’re a TripShock supplier, affiliate, or industry partner, you don’t want to miss this exciting event! Prepare your company for the future of travel and tourism through expert panels, tech demonstrations, Q&A’s and so much MORE! Commingle with industry leaders, small business owners and travel professionals from across the country. Better update that LinkedIN profile! Start your day with fresh-brewed coffee, and end it with a happenin’ holiday bash! Let’s just say… what happens at TripCon stays at TripCon. VP of Product Development, TripShock! Preview of TripShock’s latest website launch. An in depth analysis of the changing digital landscape for tours and activities. Networking opportunities with fellow suppliers and TripShock team members. A first hand look at the latest features available for suppliers. Informative panels and discussions from suppliers and industry experts. Expert tips that will have you booking more with TripShock. Celebrate the year with a VIP party at Grafittis in Destin at 8pm. Enjoy live music, cocktails, and small plates. Tickets are good for the entire day of the conference. This includes lunch, complimentary beverages, exclusive discounts on TripShock professional services, and admission to the supplier party at Graffiti & The Funky Blues Shack. 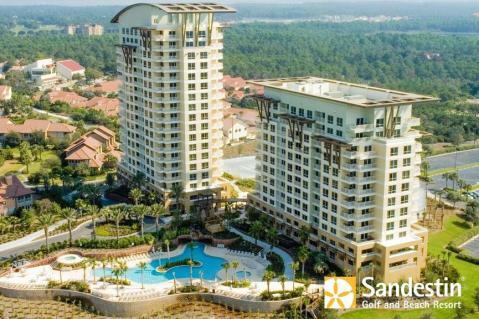 TripCon 2018 will take place at the Linkside Conference Center in the Sandestin Resort located at 158 Sandestin Blvd N, Destin, FL 32550. For special rates on nearby lodging, please check below. Summerplace Inn: Call 1-888-232-2499 with group code trip18 or book online using code trip18. Embassy Suites: Call 800-701-0767 with group code TRP or book online. The conference will take place December 6th, 2018 from 8am to 8pm with a break for lunch and afterparty at Graffiti & The Funky Blues Shack. Tickets can be purchased up until the day of the event at Tripshock.com.